After a great night sleep, our 2nd day started with a lovely breakfast brought to our room by the staff at Hotel Be. You get to choose from a menu the day before, and it was brought upstairs to us. You can either have it at the little dining area or upstairs at the terrace. 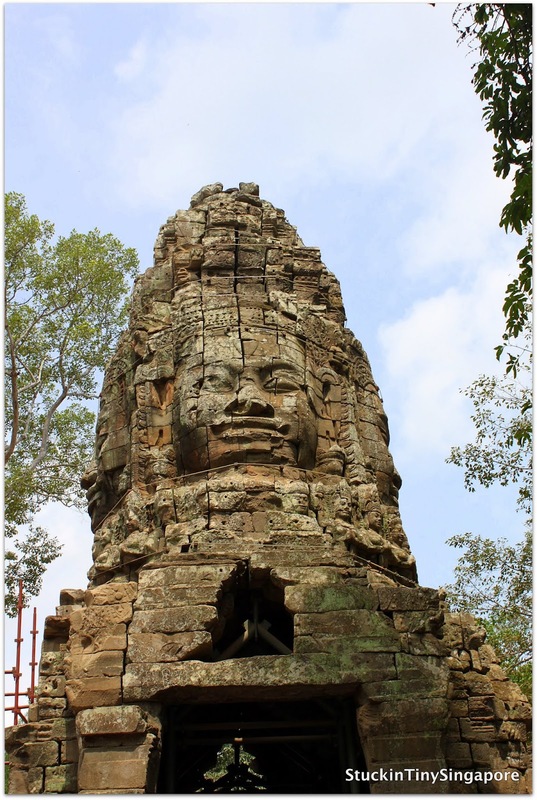 We had arranged with Ara to pick us up around 9am to start our temple tour in Siem Reap. She had arranged our own private tuk tuk for our entire stay. If you are not familar with the tuk tuk or it's also known as an auto rickshaw, it is a modified mode of transport found in several parts of the world where using a small motorbike, you can transport up to 2 to 4 people depending on the tuk tuk. 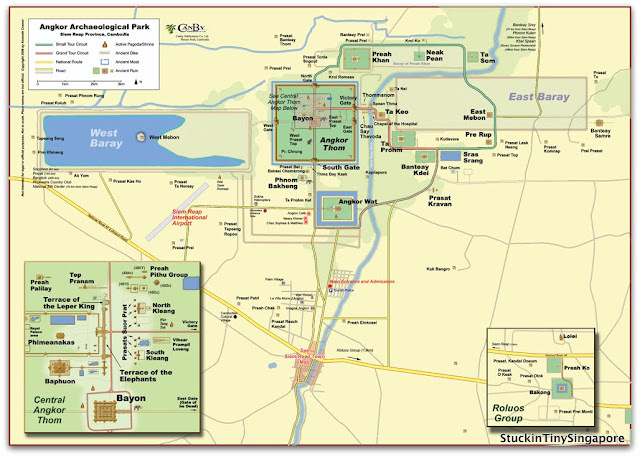 So we started our first day visiting Angkor Wat which is part of the Angkor Archaelogical Park. Passes are required to enter the park. There are various passes available, ranging from 1 day (US$20), 3 day ($40) or 7 day ($60). The park is free for Cambodians so don't be con into buying one for your guide or your driver. These passes are non-transferable. You will be photographed and your picture printed on the passes. They are strict and checks are carried out at almost all sites within the park, so make sure you keep your passes handy. We went during the dry season, so the temperature can get really hot during the day. We did early morning visits to the temple before heading back to the hotel for a lunch, a shower and even a nap before heading out to the temple circuit again in the late afternoon. My tip is to plan prior, you can mix and match freely and choose which ever temples you want to see. you can always consult with your Tuk Tuk driver or guide. They will know the park like the back of their palms and their local knowledge will be really useful. 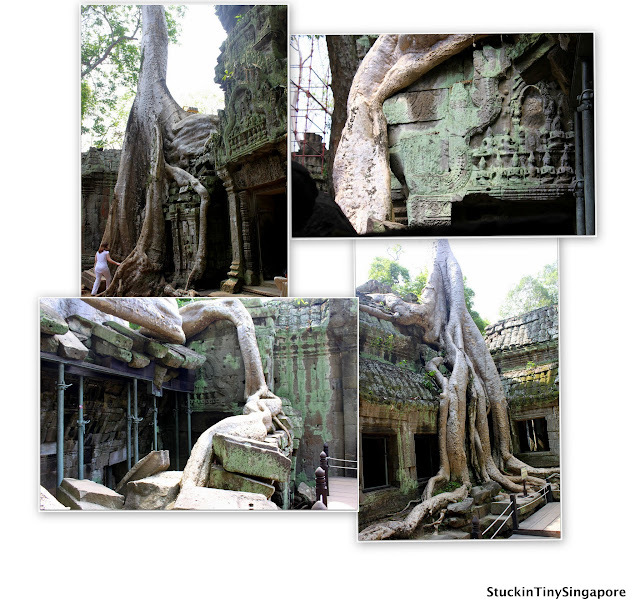 The first temple we went to was Ta Prohm. It is also most famously known as the Lara Croft temple, as in the movie: Tomb Raider, few of the scenes were shot here. 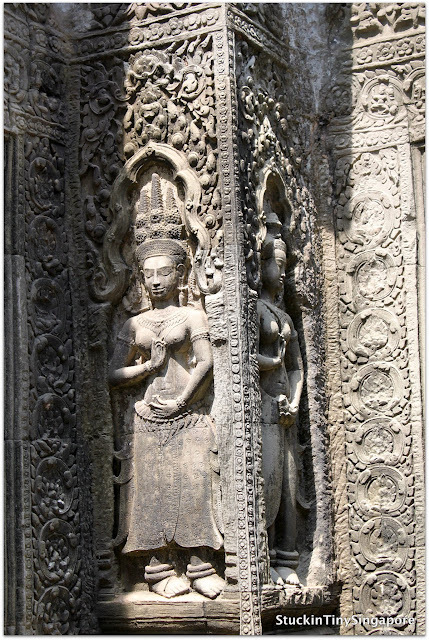 This temple was built in the 12th Century by Jayavarman VII as a shrine to his mother. It is a magical place, where the trees are intertwined into the structure of the temple. 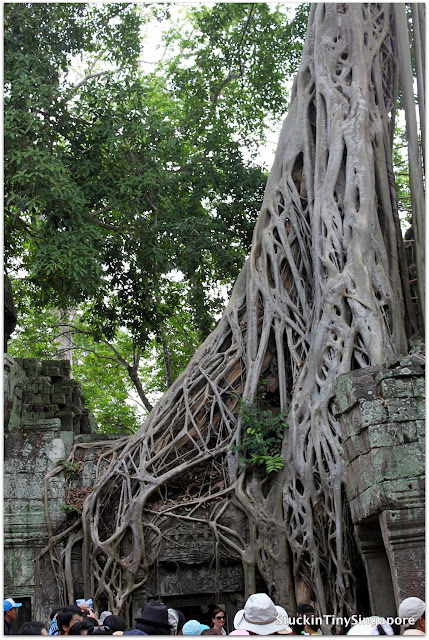 Due to Ta Prohm made famous in Tomb Raider, it is a one of the main attractions cramp with tourists. Other than that famous doorway where Angelina Jolie or Lara Croft stood, there are actually wonderful sites to be seen in Ta Prohm. There are large sections of the temple which have collapsed and laid in rubble. Amazing after so many centuries past: the carvings are still so intricate! Ara was great with giving us details about Ta Prohm and its history. And that was our first temple, and by the time we were done with Ta Prohm, we were exhausted. 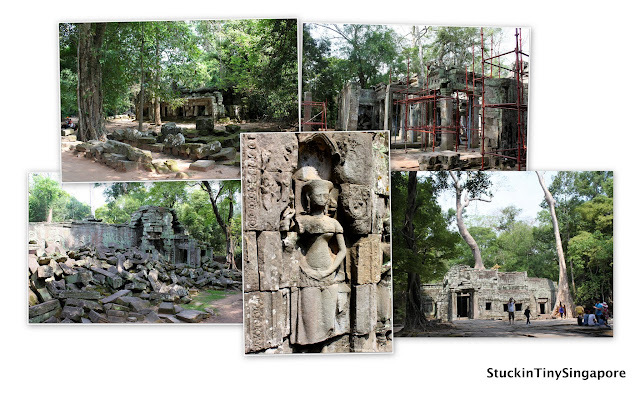 The next temple Ara took us on the small circuit was the Banteay Kdei. 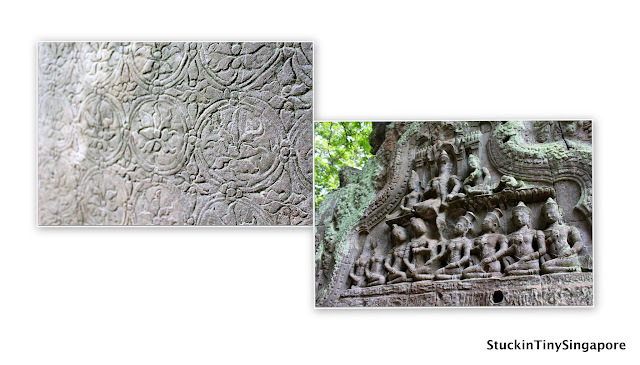 Like the Ta Prohm, it was built in the 12th Century built by the same king, Jayavarman VII. Banteay Kdei was great as it was quieter as most tourists give it a miss, which I don't understand why. Compared to Ta Prohm, it wasn't overrun by tourists which then gave us a chance to listen to what Ara had to tell us and yet had plenty of time for photo ops. Join us on the next blog as we visited more temples in Angkor.